Security is always an issue when transferring files from your local computer to a remote system. You need an effective FTP client like “WinSCP”, to securely transport files to a remote location. 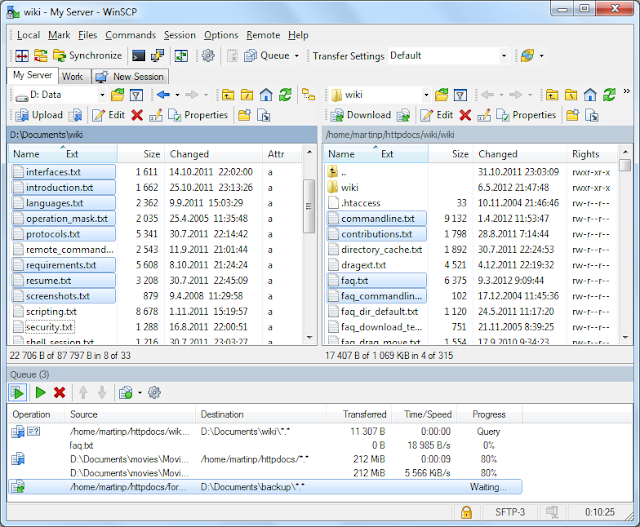 WinSCP, also called as Windows Secure Copy is a free and open-source SFTP, SCP and FTP client for Microsoft Windows. Apart from safely transferring files to network systems, it offers basic file management and synchronization functionality. Using Windows SSH (Secure Shell), WinSCP transfers files via FTP (File Transfer Protocol), SFTP (SSH FTP), and SCP (Secure Copy) protocols. 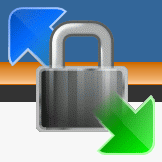 WinSCP comes as both portable and installer versions. You can run it on any machine copying the portable version to a USB drive or any removable device. The latest beta version 5.2.4 is released on September 16, 2013 for Microsoft Windows, whereas the stable version 5.1.7 is also available for download. The stable version fixes three SSH security vulnerabilities, while the beta version has made many improvements for large font/high DPI environments, redesigned message boxes, and fixed several other bugs. 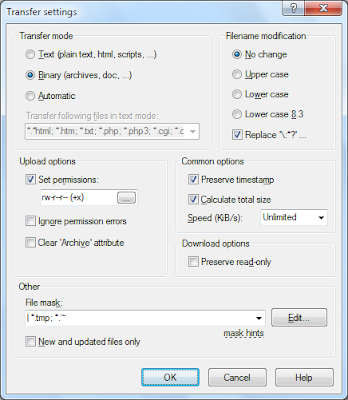 To use the latest WinSCP version, you need to have an SSH server with SFTP/SCP support. Support for FTP, SFTP and SCP protocols over SSH-1 and SSH-2. Support for SSH password, keyboard-interactive, public key and Kerberos (GSS) authentication. Batch file scripting and command-line interface. Integrates with Pageant (PuTTY authentication agent) for full support of public key authentication with SSH. Directory synchronization, updating files in two or more locations in several semi or fully automatic ways. Voluntarily stores session information or imports it from PuTTY sessions in the registry. 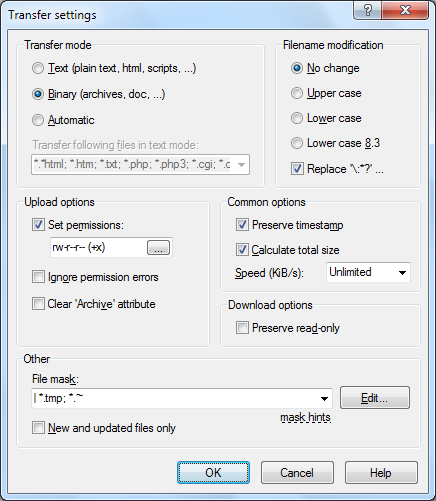 Can upload files and preserve associated original date/timestamps, unlike regular FTP clients. The interface is much-alike the Windows Explorer, which will help you quickly and easily copy files between a local and a remote computer. You can change the drive, explore parent/root/home directories, bookmark files, etc. easily in a quick manner. You can perform link editing, duplicate or custom commands from the File menu. WinSCP as a remote editor, where the user clicks on a text file in the remote file manager, it transmits the desired file to the local machine and opens it in the integrated editor. On the other hand, the user may prefer local editors based on file extensions. The remote version is updated automatically as soon as the document is saved. WinSCP consumes very low CPU and RAM for better response time. It is available in 38 world-wide languages with the GNU General Public License. You can download WinSCP’s latest beta or stable version from its official website, where the installation package, portable executables, .Net assembly/COM library, and source code are also available. While you’re playing PC games, the mouse pointer or cursor unexpectedly goes out of the playing window, thus causing you inconvenience. 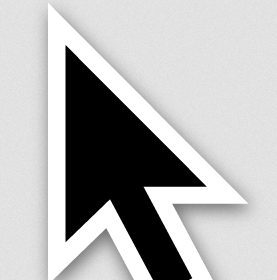 To confine the mouse cursor to one particular area on the screen, you can use a small utility program called ‘Cursor Lock’. It is mostly useful in multi-monitor setups, dealing with a common oversight in few applications (mostly games), where the mouse cursor shifts to other areas on the screen. Particularly when minimizing the game window as the cursor is clicked accidentally. Cursor Lock is confined not only to games but also in other windowed applications, where you wish the mouse cursor to stay focused on the selected area. The latest version Cursor Lock 2.6 has improved GUI, support for Windows 7/Vista/UAC and translations, tooltips, default logging, cleaned up text, and updated links. Restricting the mouse pointer using an effective method, compared to other solutions. Works well with launcher programs, to open one program and lock others. 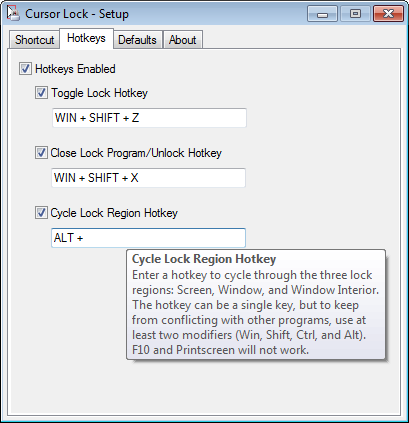 Have complete control of locking in any condition via Customizable hotkeys. Quick setup of Cursor Lock shortcuts. Integrated help system for shortcut setup program. Alternate locking modes that run in the background for full user command and unique circumstances. Consumes very less memory or CPU with highly optimized and efficient locking program. Photography captures the most unforgettable moments of your living and it adds color to your life. To make photographers and digital photo enthusiasts more comfortable in managing and processing digital images, Adobe had designed Photo Lightroom which offers a wide range of digital tools to fine-tune RAW images for the best-look. The latest version Adobe Photoshop Lightroom 5.0 features advanced image processing tools such as Advanced Healing Brush, Enhanced Photo Organizing/Sharing, Adobe Creative Cloud, and many more. The new version Lightroom 5 has added a ‘Smoothness Adjustment Slider’ to the Detail Panel under Color Noise Reduction which helps to reduce low-frequency color mottling artifacts. It also added a new feather control and improved ‘Auto find source’ method, updated ‘Smart Preview’ size to 2560 px on the long edge, and few refinements to the Local Adjustment Brush. Support for new cameras like Canon EOS 70D, Casio Exilim EX-ZR800, Fujifil FinePix HS22EXR, Phase One IQ260, Sony DSC-RX1R, etc. is included. Adobe Photoshop Lightroom 5 comes as 30-day trial version that is supported in Windows 8, 7, and Vista operating systems. Surprisingly, Windows XP version support has been taken off. You can buy the full version for $149. (NEW) Advanced Healing Brush – Remove dust spots, splotches, or other distractions and flaws get in the way of a great shot. (NEW) Upright – Straighten tilted images with a single click. (NEW) Radial Gradient – Highlight important portions of your image with more flexibility and control. (NEW) Smart Previews – Generates smaller stand-in files of your full-size images. The adjustments made to these images will reflect the originals. (NEW) Video Slide Shows – Combine still images, video clips, and music in creative HD videos that can be viewed on any computer or device. Non-destructive environment and Develop presets. Photoshop Lightroom 5 includes a rich photography toolset that performs a variety of tasks such as organizing, editing, and publishing. The tools are categorized in such a way that the workflow is smooth and not compromised. It provides the necessary tools for refining white balance, correcting chromatic aberrations, lens and perspective correction as well as intelligent image sharpening that improves detail without inserting uncanny artifacts. On the left-side of the interface, tools like Navigator, Catalog, Folders, Collections, and Publish Services, etc. are included. On the left, you can find Histogram, Quick Develop, Keywording, Keyword List, Metadata, Comments, and Sync settings. The collection of images is shown down the interface. There are seven different stages carried out that photos go through to meet the end product. Library – where a set of images of your choice is gathered. Develop – performs the actual editing. Map – allows you to insert geo data. Book – for creating albums and publishing. Slideshow – devoted to designing and presentations. Web – focuses on exporting galleries online. The superior image processing, non-destructive environment, selective editing brushes and extended video support holds the creativity and flexibility features. To enhance color saturation and remove color casts, you need advanced color editing with control over eight color channels. Advanced black-and-white conversion helps you to achieve ultimate control over the tonal qualities. The image detail and correction features include superior noise reduction, additional editing brushes, lens correction, perspective correction, intelligent sharpening, film grain simulation, red-eye removal, white balance brush, and highlight and shadow recovery. Lightroom 5 saves enormous time providing you the ‘One Toolset’ for your photography tasks in an intuitive environment with tight photoshop integration. 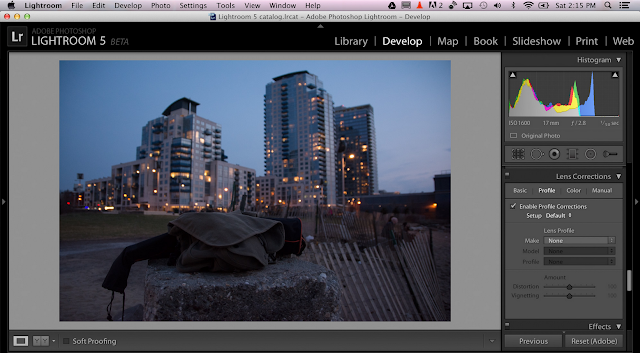 The one-click adjustment of multiple images saves processing time when applying for many images. Embed your name or company name in your images i.e. apply text or graphic watermarking. It offers many tools for organizing, managing, finding, searching, sorting, importing/exporting, sharing, and printing your digital images. 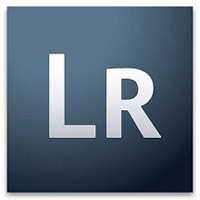 Adobe Photoshop Lightroom 5 holds offline images a lot more efficiently than previous versions and adds a few tools that streamline local retouching. It still lacks some useful features like face detection, HDR, panorama tools and powerful video support. Overall, Photoshop Lightroom 5 remains strong as the best digital image processing software when working with raw images despite of lacking some handy tools. If you are serious about digital photography, then this program will really help a lot in need. Most of us collect hundreds of useful and interesting e-books, but fail to organize them properly. Calibre is the best e-book management software you can get that organizes, saves, and manages your e-book collection appropriately. 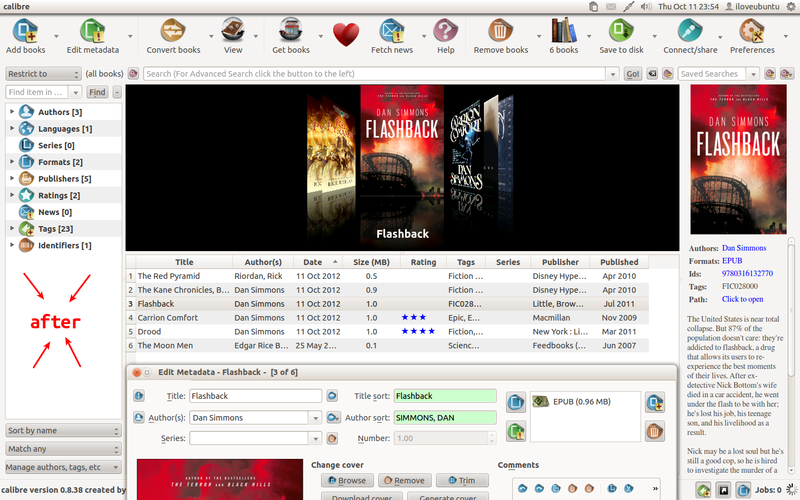 It supports different e-book formats, also synchronizing with popular e-book readers like Adobe Reader, NitroPDF, etc. It can even convert your e-books to different formats, within DRM restrictions. The latest version 1.2 includes Book list, PocketBook driver which helps you to scan for book files in the entire device not just in the ‘books’ folder, and other minor fixes. Calibre acts as an e-library which also allows you to perform format conversion, news feeds to e-book conversion, e-book reader sync, and an integrated e-book viewer. Library Management – You can sort the books in your library by Title, Author, Date added/published, Size, Rating, Series, etc. You can search a particular e-book in your collection easily with normal or “advanced search”. E-book Conversion – Calibre can convert e-books to a huge number of major formats like PDF, PML, RB, TCR, TXT, AZW3, EPUB, DOCX, HTML, CBR, and many more. The conversion engine can rescale all font sizes, ensuring the output is readable. It can automatically detect/create book structure and insert the book metadata into a “Book Jacket” at the start of the book. E-book Reader Sync – It synchronizes with a large number of devices using a modular device driver, which updates the device metadata from library metadata and creates a device collection based on the tags defined in the library. It will automatically convert the e-book to a format suitable for the device before sending it. It can automatically download news from the websites or RSS feeds and converts it into an e-book. The news system is plug-in based, allowing users to easily create and give new sources to calibre. Comprehensive e-book viewer – It can display all the major ebook formats and has full support for Table of Contents, bookmarks, CSS, a reference mode, printing, searching, copying, customizing the rendering via a user style sheet, embedded fonts, etc. It has a built-in web server for online access to your book collection. It can email your books and download news to you automatically. Overall, Calibre is must-try e-book management software where you can add, convert, and remove books, edit metadata, and even share your favorite titles. Download Calibre 1.2 for free from below link. Do you want to create digital photo galleries, manage them by sorting photos into albums, and perform basic digital editing? Then, you need photo gallery generator software like ‘jAlbum’ which handles all the above tasks. jAlbum is a freeware cross-platform tool for creating and managing digital photo galleries and provides a free photo-sharing service to publish them on your own websites. jAlbum runs on ‘Java virtual machine’, which is extremely easy to use and versatile, available in more than 30 languages. It is much similar to Google’s Picasa or Apple’s iPhoto. More than 700K users are hosting over 32 million photo web albums at jalbum.net. The main intention behind developing this photo gallery generator is to produce HTML and Flash-based galleries, which are very useful for online websites or distributing through other means. The latest version jAlbum 11.4.1 updated Korean translation, Turtle 4.3.4 skin, and double clicking template pages that have no embedded user interface will now revert to opening in the embedded text editor. The hosting service jalbum.net is used as a social photo-sharing website so as to promote or distribute the software. A 30-day free trial subscription with a 4 GB web space is offered for who registers with jAlbum. Users can also avail a yearly subscription which is offered in four different pricing packages – Standard, Pro, Premium, and Power. If you want to host your albums on your website, choose Standard or Pro license (used on commercial websites and shopping carts). For hosting your photo albums on jalbum.net, you can utilize Premium (10GB) or Power (100GB) accounts. It provides an easy-to-use explorer-like user interface where you can drag and drop photos to create or sort them. You can create folders to better organize your album and add captions below the photo thumbnails. Right-click on the context menu to access the most frequently used functions like sorting, rotating, editing, or choosing a folder thumbnail. The “Edit mode” enables you to apply various photo effects such as crop, straighten, Gamma fine tune, Sepia, Pixelate or Invert. Add text watermark your images, so that no other person can use it on their websites. Customize your web albums with skins i.e. plugins to determine the layout and feature set of the generated albums. You can edit or create new skin templates with JAlbum’s built-in editor. Supports Google Maps, video playback or shopping cart integration. Upload your photo albums to your own site, blog, or even share it to anyone. You can store, share and showcase albums on jalbum.net web service in a spectacular way. It provides additional features which include support for IPTC or EXIF data, style sheets, and lossless image manipulation, pluggable image filters, and a built-in FTP or SFTP client. A built-in web server allows you to share web albums directly from your own computers. jAlbum is used by many photographers, where they can protect their stylish photo galleries with a watermark. They can use the integrated shopping cart of jAlbum, to sell their images. 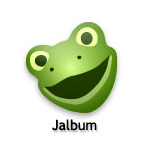 Organizations also use jAlbum to manage their huge amounts of image and frequent updates. With jAlbum, you can activate password and prevents unauthorized members in accessing your albums. You can add Facebook commenting to your albums and share them on social networks. Download the non-commercial or purchase a Pro license that lets your remove ads and white label your albums, and will give you access to our priority e-mail support. 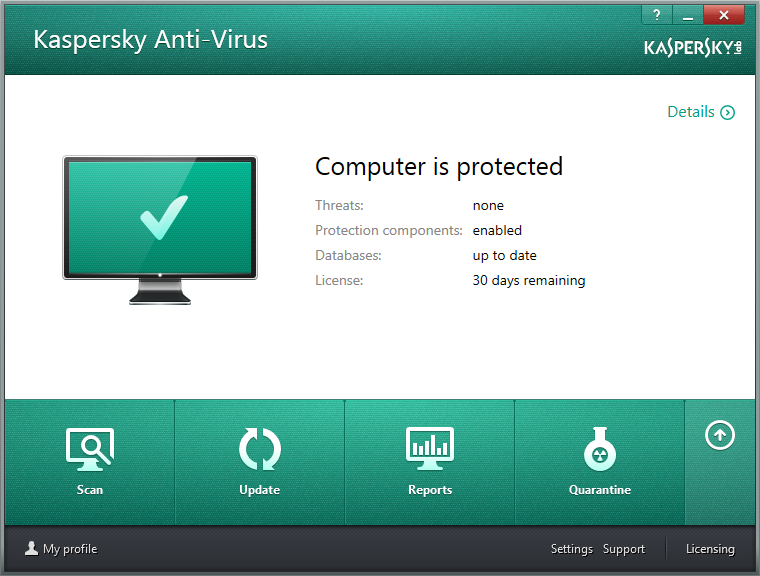 After BitDefender, it’s time for Kaspersky that has released 2014 antivirus product and got an overwhelming response to the latest improvements. Kaspersky Antivirus 2014 protects your computer from traditional and emerging viruses, malware, spyware, adware, and other threats. It is a strong and unswerving application securing your PC against a wide range of malware threats. 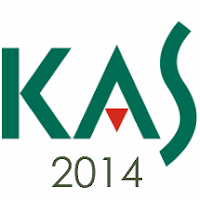 Kaspersky Antivirus 2014 includes the modern anti-phishing technologies that could detect malicious URLs proactively and even use real-time ‘Kaspersky-cloud’ information so that your precious data is not disclosed to phishing websites. The intelligent scanning, virus definitions and other updates are performed in the background, so that your computer performance isn’t affected. 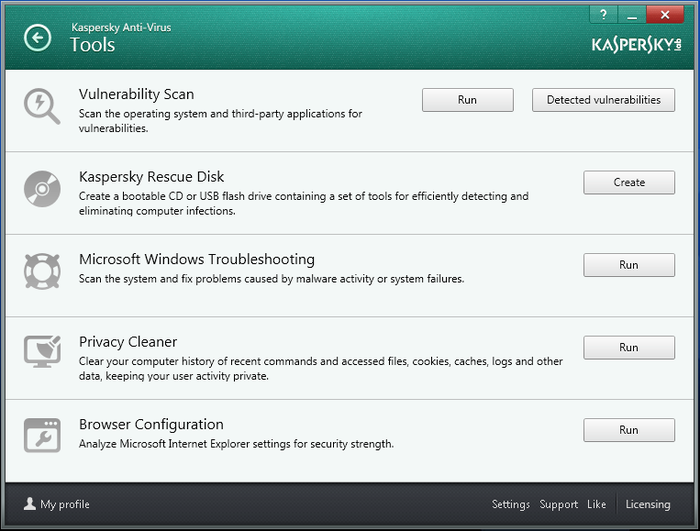 If your computer has a system or application vulnerabilities that have not up-to-date, Kaspersky prevents them exploiting them. The latest version 14.0 has added protection against screen lockers to unlock the screen using a defined key shortcut. This protection is very helpful in detecting and eliminating the threats. The new edition has accurate phishing protection on websites that contain dangerous scripts and programs. The new ‘Anti-blocker’ functionality will find and remove the malware completely. The installation and product activation get easier now with improved GUI speed. The system resource consumption is limited and improved, which in particular optimizes Windows 8 performance. The installation is hassle-free making the user effortless to set up the whole process. You require at least 500 MB of free hard disk space, 1 GB RAM, Microsoft .Net Framework 4 or higher, internet access for license activation and updating databases, and 1 GHz processor or equivalent to install properly. You can upgrade your existing Kaspersky product to the latest edition or download the new one that offers free protection for 30 days. After the trial period, you need to buy 1 or 2 year license for unlimited protection. Coming to its interface, minor tweaks and improved have been made to the latest edition, focused on basic functions. The rest of the things are similar to the 2013 version. The GUI is refreshing and the speed is improved compared to the previous version. There are five important sections in the main interface window namely, Protection Status, Scan, Update, Reports, and Quarantine for easy access. If you click on ‘UP’ button beside Quarantine module, remaining things such as Tools and Upgrade are shown. Completely below the interface, you can access your ‘Profile’, custom ‘Settings’, see ‘Licensing’, and get ‘Support’ from Kaspersky lab. Protects in real-time from new and emerging viruses, spyware, malware, adware, and more threats. Detects unknown malware proactively and rolls back harmful activity. Instant Safety Checks for files and websites. ‘Automatic Exploit Prevention’ ensures vulnerabilities won’t negotiate with your PC’s performance. ‘Hybrid Protection’ combines the power of the cloud and your PC. ‘Anti-phishing’ protects your digital identity. ‘URL Advisor’ is integrated to al web links to advise you of the danger level of the links and subsequent web pages. ‘Browser Configuration Tool’ utility makes Internet Explorer a bit safer. ‘Privacy Tool’ removes the traces of your recent computer activity such as accessed files, cookies, logs, and other private data. ‘Silent Gamer Mode’ helps you play games without any interruption. ‘Rescue CD’ cleans your system if it’s infected beyond use. ‘Microsoft Windows Troubleshooting’ scans the system and fix problems caused by malware activity or system failures. ‘Technical Support’ via live chat, email, phone, and knowledge base. Automatically updates small and frequent updates when connected to the internet. There are four scanning modes – Full, Quick, Custom, and Removable. You can see the files that are disinfected, quarantined, deleted, and Not processed, during the scanning process. When ‘Browser Configuration Wizard’ begins, you can either perform diagnostics for Internet Explorer or roll back changes made previously. The ‘Privacy Tool’ also works similar to the BCW. In ‘Kaspersky Rescue Disk’, you can download ISO image from Kaspersky Lab server or copy ISO image from local or network drive. In ‘Settings’, you can get high customization levels related to General, Protection Center, Performance, Computer Scan, and other additional options. Overall, Kaspersky Antivirus 2014 does not offer complete PC protection, but it protects strongly when you’re downloading stuff from the web, chatting, checking e-mails, etc. from malicious threats. If you want to have complete internet protection along with two-layer firewall, application control, anti-spam, and other advanced features, you can download Kaspersky Internet Security 2014. BitDefender has been the first security vendor to announce 2014 antivirus product, incorporating its unique BitDefender Photon technology. You could experience the best antivirus at blazing speed, with no performance hiccups. 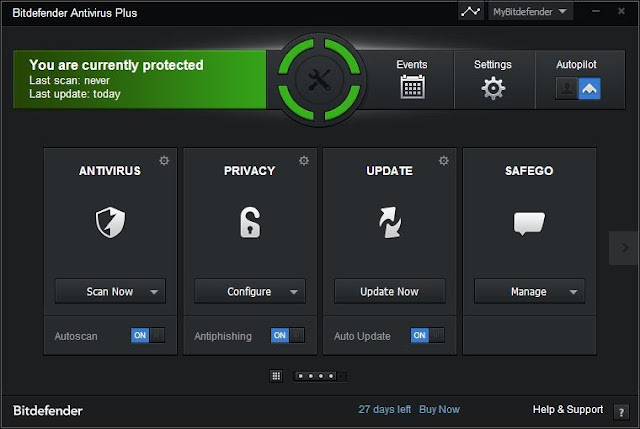 BitDefender Antivirus Plus 2014 has excellent phishing protection, preventing the loss of private data. 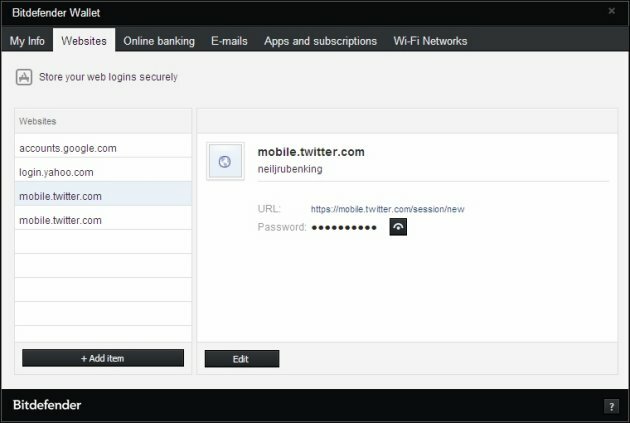 You can manage passwords, financial transactions in an isolated browser, scans Facebook profile, and scans system for vulnerabilities. BitDefender Antivirus Plus 2014 is the latest edition which is capable of providing the well-built antivirus engine with core protection, safeguarding your computer from dangerous websites in your search engine results. A weekly security report that highlights the important aspects is sent to your personal account. The latest version 17.16.0.729 has only few added features such as multiple update logs can be opened from the same event, master password pop-up is not displayed before filling information for Facebook and Twitter account, reboot option missing from AVC events that requires a reboot, and more. You can try BitDefender Antivirus Plus 2014 for 30 days or purchase for $39.95 for 1 PC per 1 year. Some of the features are disabled in this antivirus edition, as they are only present in BitDefender Internet Security and Total Security 2014. BitDefender Antivirus Plus 2014 requires .NET Framework 3.5 or higher version installed in your system and should have minimum 1 GB RAM, 800 MB free hard disk space and a 800 MHz processor. As soon as you complete installation, the antivirus product has two configuration modes – Autopilot and Automatic Game. If you want to run the program with default settings without interrupting user activity, enable “Autopilot” mode and if you wish to play games without any disturbance, enable “Automatic Game” mode. Coming to the interface, BitDefender Antivirus Plus 2014 possesses a contemporary and clean interface, along with high customization levels. At the top of the interface, it shows the current security status of your computer, and three important options – Autopilot, Events, and Settings. Below to this, five significant protection modules are included namely Antivirus, Privacy, Update, SafeGo, and Wallet. Each module has a different set of options which can be configured easily with a few clicks. Antivirus and Antispyware – The "Active Virus Control" includes a proactive, dynamic detection technology which can monitor system’s running processes behavior in real-time and marks suspicious activities. Non-intrusive and extremely fast program. BitDefender Safepay (Improved) – Automatically opens all your online transactions in a separate and secure browser, thus keeping your usernames and passwords safe away from hackers and intruders. Security Report (New) – Get a complete security status report for the past week regarding scans and disinfections, pending issues and other feature recommendations and notifications of BitDefender. Wallet (New) – A Password manager that can store your sensitive credentials and instantly logs you into your favorite websites, apps, and emails. BitDefender Autopilot – Takes best possible decisions related to security without your interference. You can configure settings so that there are no pop-ups and alerts. BitDefender Photon (New) – An exclusive and innovative technology from BitDefender that improves your system speed and performance, making your old PC to a new one. BitDefender SafeGo – Filters e-threats by scanning links that are exchanged from your Facebook and Twitter friends. 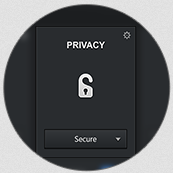 It also monitors your privacy settings for hassle-free experience. It contains other important features like Antiphishing, Vulnerability Scanner, Rescue Mode, Security Widget, MyBitDefender dashboard, Remote Management, USB Immunizer, Search Advisor, and the Personal Data Filter. The “Antivirus Scan” has five different scanning types – Quick, System, Manage, Vulnerability scans, and Rescue mode. You can start scanning instantly or schedule them for future use. You can configure scan options such as the level of security, use of system resources, running the task with low priority, shutting down the computer after the task completion, etc. As far as “BitDefender Wallet Wizard” is concerned, it keeps your sensitive information secure while configuring a strong master password for managing all your “Wallet” items. You can either create a new Wallet database or import an existing database from your computer. BitDefender Antivirus Plus 2014 has some difficulties installing on malware-infected systems while its password management feature “Wallet” is limited, as it cannot fill Web forms. Although, nothing new from its previous versions, BitDefender Antivirus Plus 2014 has enhanced performance along with a useful password manager. You can give it a try for its impressive collection of effective security tools and a great choice for regular PC users.